British Gas owner Centrica is to mount a legal challenge against Britain's upcoming energy price cap, arguing it has not been calculated fairly. The firm said it wanted not to delay the cap, due to come in on 1 January, but to change how it is set. The regulator said it would defend its proposals "robustly". Ofgem proposed a cap on energy bills in September, following concerns that consumers were not getting best value for money from suppliers' default rates, or standard variable tariffs (SVT) . It means an average dual fuel customer who pays by direct debit should pay no more than £1,137 a year, £68 lower than British Gas's SVT. However, the policy has rattled some suppliers who say it will damage their profits and it has also been blamed for some smaller providers going bust. In November Centrica warned the cap would cost it £70m in lost operating profits in the first quarter of 2019. 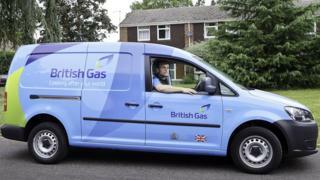 This was after British Gas shed 372,000 household accounts in the four months to the end of October as customers left its SVT. Centrica says that Ofgem had not properly taken into account the wholesale energy costs that "all suppliers incur" when it devised the cap. Explaining its decision to seek a judicial review, it said: "Through this action Centrica has no intention to delay implementation of the cap, and does not expect the cap to be deferred in any way. "As we have previously said, we do not believe that a price cap will benefit customers but we want to ensure that there is a transparent and rigorous regulatory process to deliver a price cap that allows suppliers, as a minimum, to continue to operate to meet the requirements of all customers." Ofgem told the BBC that it "carried out an extensive consultation process when setting the price cap and we believe that it offers consumers on poor value tariffs a fairer deal. "In the event of a judicial review we would defend our proposals robustly." The regulator says the new energy price cap could save 11 million customers an average of £76 a year on their gas and electricity bills. But it has already said that the level of the cap is likely to rise in April 2019, to reflect the higher cost of wholesale energy. As a result, the average annual saving in 2019 is likely to be lower.